WASHINGTON – An incendiary tell-all book by a reporter who helped bring down President Richard Nixon is roiling the White House as current and former aides of President Donald Trump are quoted as calling him an “idiot” and admitting they snatched sensitive documents off his desk to keep him from taking rash actions. The president denied that senior aides took sensitive documents from his desk, saying, “There was nobody taking anything from me.” And he stressed that he didn’t speak to Woodward. The book quotes chief of staff John Kelly as having doubts about Trump’s mental faculties, declaring during one meeting, “We’re in Crazytown.” It also says he called Trump an “idiot,” an account that Kelly denied. “The idea I ever called the President an idiot is not true,” Kelly said in a statement Tuesday. The book says that Trump’s former lawyer in the Russia probe, John Dowd, doubted the president’s ability to avoid perjuring himself should he be interviewed in special counsel Robert Mueller’s investigation into Russian election interference and potential coordination with Trump’s campaign. Dowd, who stepped down in January, resigned after the mock interview, the book said. Dowd, in a statement Tuesday, said “no so-called ‘practice session’ or ‘re-enactment“’ took place and denied saying that Trump was likely to end up in an orange jumpsuit. Secretary of Defense Jim Mattis is quoted explaining to Trump why the U.S. maintains troops on Korean Peninsula to monitor North Korea’s missile activities. “We’re doing this in order to prevent World War III,” Mattis said, according to the book. Woodward reported that after Syria’s Bashar Assad launched a chemical weapons attack on civilians in April 2017, Trump called Mattis and said he wanted the Syrian leader taken out, saying, “kill him! Let’s go in.” Mattis assured Trump he would get right on it but then told a senior aide they’d do nothing of the kind, Woodward wrote. National security advisers instead developed options for the airstrike that Trump ordered. The book also quotes Trump as mocking his attorney general, Jeff Sessions, who has been a target of the president’s wrath since recusing himself from the Russia investigation. Trump did not speak to Woodward until after the book’s manuscript was completed. The Post released audio of Trump expressing surprise about the book in an August conversation with Woodward. Woodward tells Trump he had contacted multiple officials to attempt to interview Trump and was rebuffed. 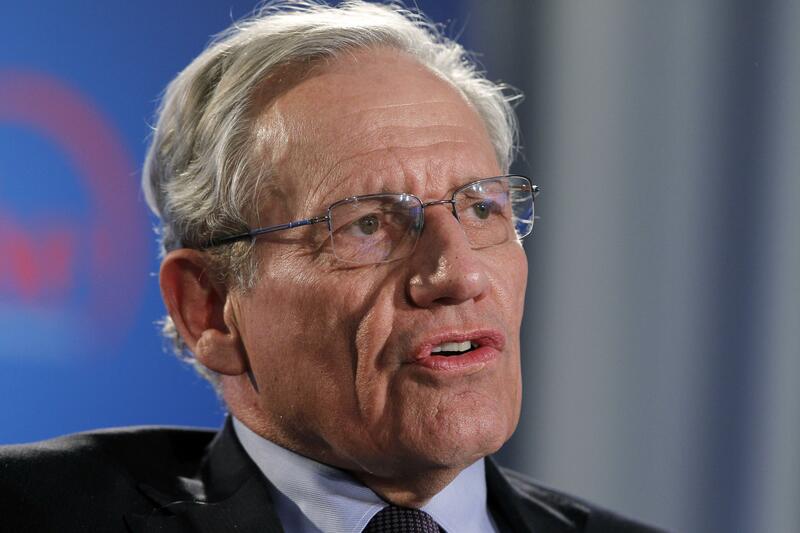 No clear response strategy emerged immediately after the Post report, but insiders speculated the fallout could be worse than from “Fire and Fury,” given Woodward’s storied reputation. Published: Sept. 4, 2018, 3 p.m.